Posted June 25, 2016 by Tim Lepczyk & filed under Dad On His Feet. 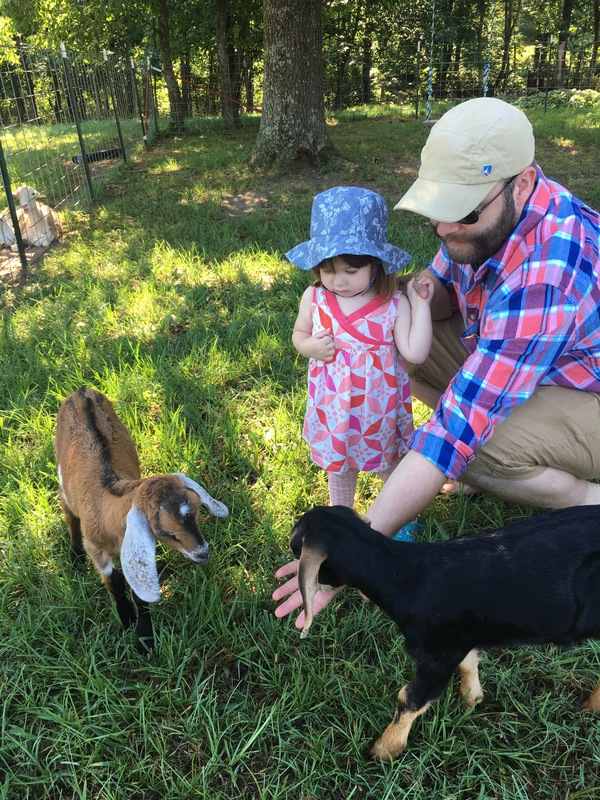 Spent the morning picking a few blueberries, enjoying a plank swing, and feeding baby goats at Wye Mountain Farm. S— was a little nervous feeding the baby goats.